Some mosquitoes choose to bite cattle more than humans, due to a specific chromosomal rearrangement in their genome. 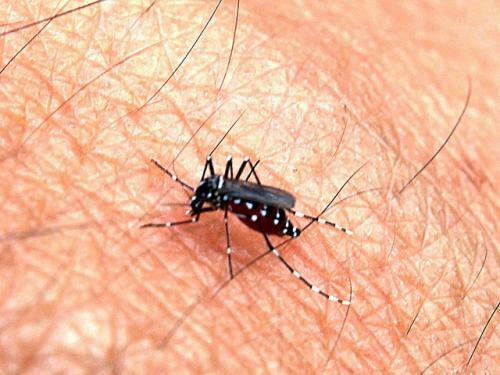 This genetic anomaly reduces the chances of mosquitoes transmitting malaria parasite to humans. Scientists now believe genetically modifying mosquitoes to carry the same arrangement may be an effective way of fighting malaria. A research led by Bradley Main from the University of California tried to locate this anomaly. The team sequenced the genomes of 23 and 25 mosquitoes, fed on humans and cattle respectively. They studied samples to identify a genetic component that determines to host choice. They narrowed down the gene region associated with cattle feeding to an abnormality called 3Ra inversion. Researchers will need to perform controlled host choice tests across a larger geographic area to confirm the connection. This is the first time genetic studies have been used to study the preferences of mosquitoes for feeding. It may help design better local strategies for malaria prevention. It may also guide new methods for stopping malaria's spread, such as genetically modifying mosquitoes to prefer cattle over people. Animals would act as a dead-end host, as species of malaria that infect humans will not develop in them. Globally, around 3.2 billion people—nearly half the world’s population—are at risk of contracting malaria. In 2015, there were roughly 214 million malaria cases and an estimated 438 000 malaria deaths, as per the WHO. The Sub-Saharan Africa continues to carry a high share of the global malaria burden. In 2015, the region was home to 89 per cent of malaria cases and 91 per cent of malaria deaths. Excellent. Currently I am working on controlling Mosquitoes through Pads of Cactus.